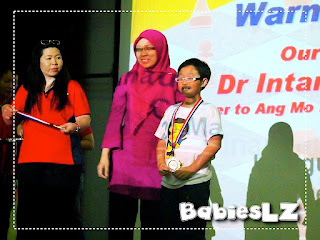 I signed up my kiddos for this event but Z wasn't very keen to take part in this event initially. Why? 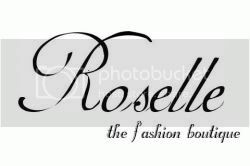 As the name says, ALL WOMEN'S! Haha! I explained to him there's an invitational category for family members of the women's category, be it brothers, cousins or daddy. 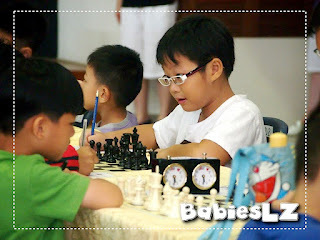 And so, I managed to convince him to take part in this Challenge with L.
1st round, Z played against a rated player and he won! Needless to say he was happy! 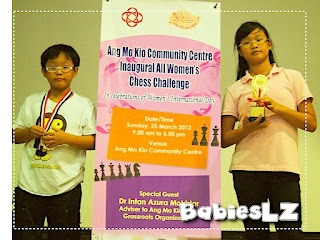 L was very 'lucky' for this competition, she only played against 1 rated player. Of coz to my kiddos, they are happy if they played with less of these rated players. But to the coach, it is better for them to play more with rated ones, that means they are getting better and also it trains them to be better as well. L chatted with some of the girls that were regulars at competitions. 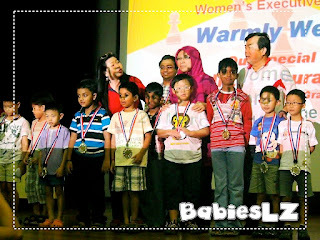 What they gained most from taking part in these competitions are friendship and experiences. 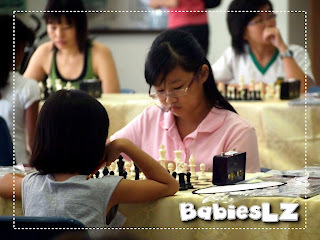 5th round, L played against Janice, who is the youngest girl for this competition. She may be young but she has plenty of experience. 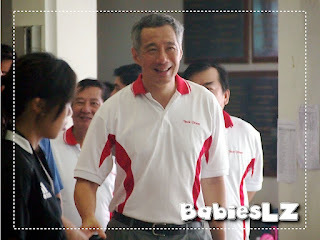 We had our Prime Minister Lee visiting us at the competition! The kiddos, as well as the adults were all so excited! 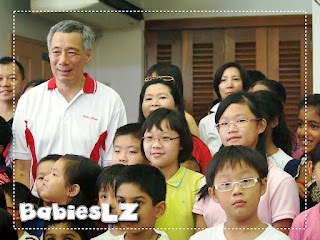 Managed to capture a shot of LZ with our PM Lee! 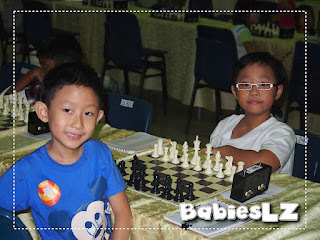 Z played against Dylan, his pal from chess class. This was the first time the pals met in one of the rounds. He was so happy he won! We were so surprised when the result was announced! Z was in the 6th position in the Invitational Category! 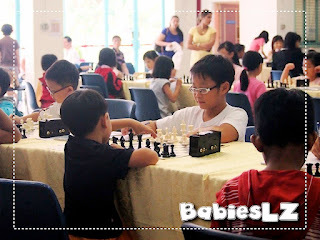 I thought he did pretty well, not forgetting there were a few adults in that category and he managed to draw with a player with more than 1200 rating. Well done my boy! 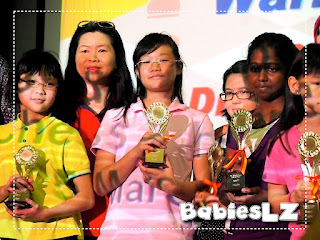 Of coz I know you would love to have a trophy instead of a medal. Haha... You time will come ok? Just do your best in every competition! As for my girl, I'm equally surprised too! 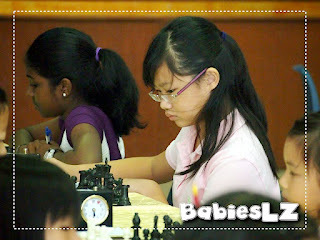 She was in the 9th position for the U12 category! Well done my girl! I'm very proud of you too! You played against a rated player for the last round and you draw with her! 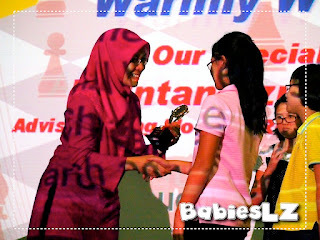 This is also the FIRST time LZdaddy & Beanie was there to witness LZ going on stage to receive their prizes! It was raining heavily when the competition ended but that didn't dampen their moods!